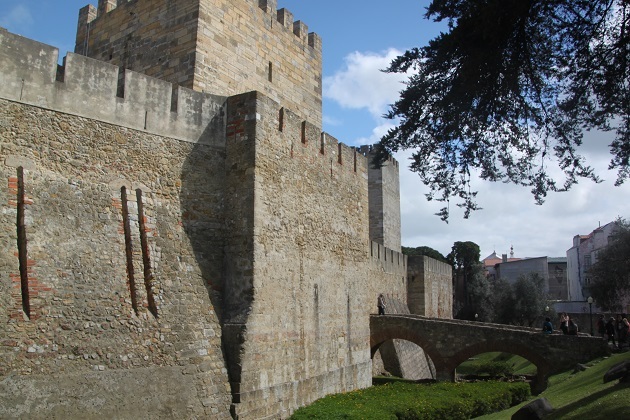 The next place on our Lisbon list to explore was the Castle of Sao Jorge. We spent the morning in Commerce Square and dithered about whether to walk from there to the castle or take Tram 28. One tram passed us by while we debated, another was on the way and had space so we quickly jumped on board. I was more than glad we did that. 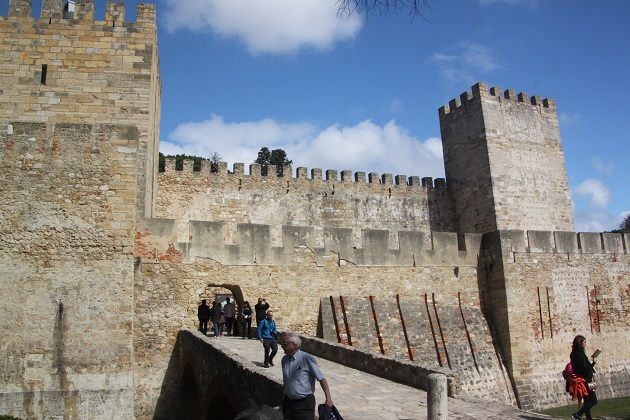 We were at the lowest part of the city, the castle is at the highest and a mighty amount of stamina to hike all those hills plus listen to Son moaning would have been a challenge. The tram passes right by the castle but it still takes a steep, hard hike to get to the entrance along some rather slippery cobbles – comfy shoes are a must here. We found a gorgeous spot up some steps from the tram stop. Stunning views, crumbling old buildings and artists at work meant it was the perfect place to catch our breath before tackling the next hill to the castle entrance. This part was seriously steep and involved huffing, puffing and groaning from Son but we made it. My heart sank when we saw a huge queue – just to buy the tickets to go inside. Hot and sweaty after that walk, I was really not in the mood for huge crowds and standing around. However the line did move fast and soon we were inside. Plenty of people around for sure but it didn’t feel at all crowded inside the castle grounds, there was stacks of space for everyone to spread out. The real highlight of this castle is the location. 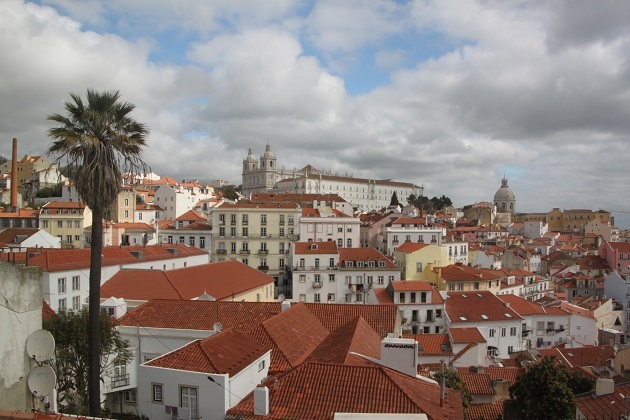 It is right on top of the Alfama Hill with the city and river laid out below – picture postcard perfect. It looks authentic but is actually a reconstruction. The original castle dated back to the 10th century when it was a royal palace. Kings lived here until 1511 then moved to a new pad on Commercial Square which was destroyed in the earthquake. 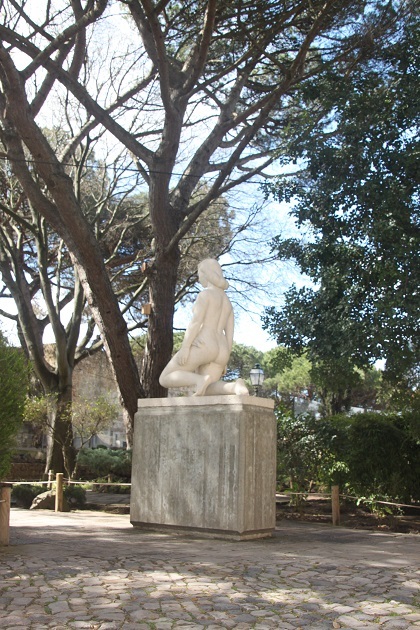 The reconstruction here is based on the 11th century layout. We just loved those views – I can’t rave about them enough. 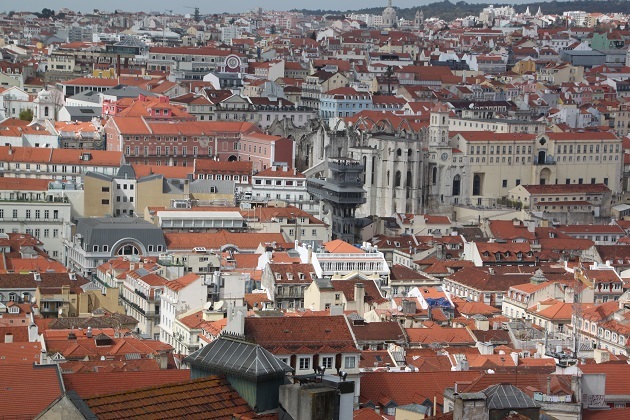 Some of the best views of Lisbon (in my humble opinion) are from up here. 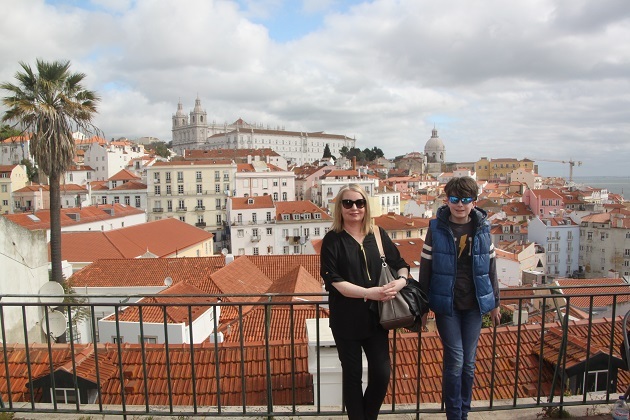 We strolled, walked around the ramparts and looked down at the River Tagus, Alfama and those red rooftops. We also got a great view of the Santa Justa Elevator – Son was more than excited as we were planning to ride it later in the evening. Much of the castle is a shell but it is fun to explore. We climbed loads of steps, walked along ramparts and Son found no end of nooks and crannies to peek into. Peacocks strutting their stuff everywhere added to the ambiance and there were plenty of little cafes to get refreshments. We spent a couple of chilled out hours just wandering and loved it. Such a pretty city. So full of color. Thanks for your beautiful post. 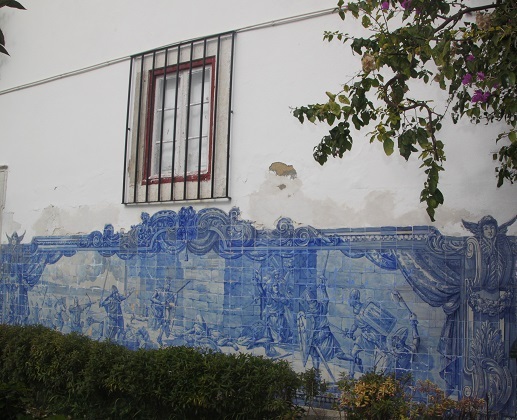 It is even more colourful and beautiful in reality Mary – we loved it in Lisbon. Brings back great memories. 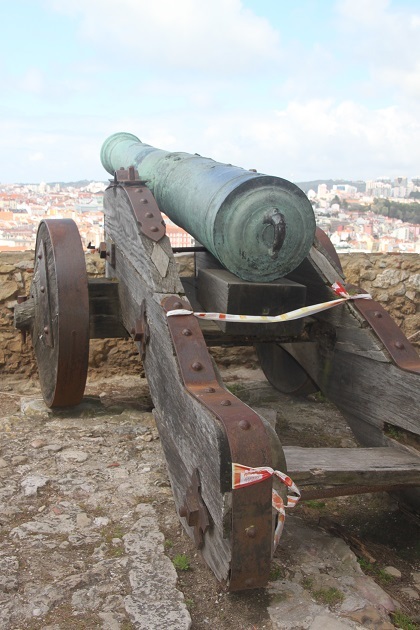 This was definitely one of the highlights of Lisbon for us. The views are so incredible, it was one of our highlights too. I skipped the castle several times, finally made it on my last visit. 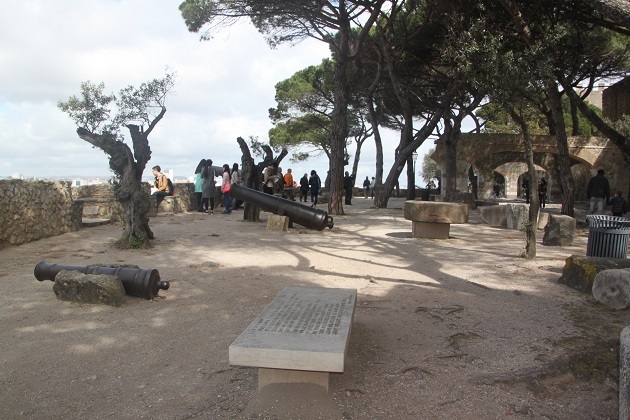 Agree – great views, castle not very interesting. Maybe I took a different tram route, I don’t remember the last bit being that long/steep. 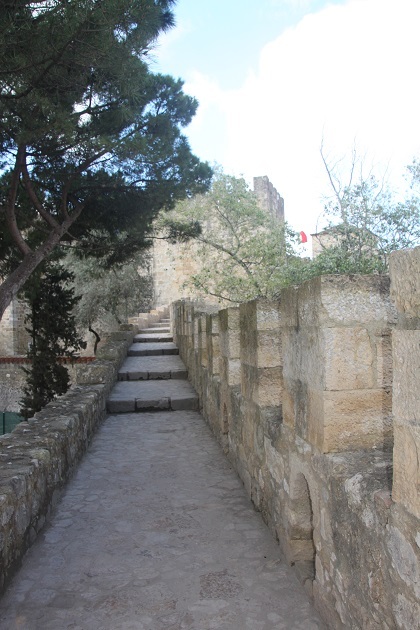 We wandered a bit and didn’t go straight to the castle from the tram stop – probably picking the steepest bit! The views were worth it though for sure. One of my fave castles I’ve visited. 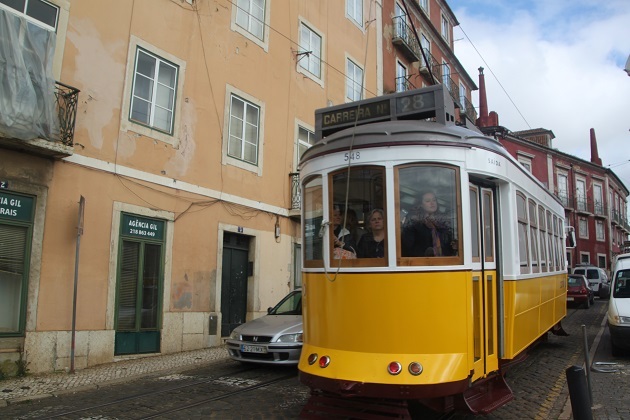 I’ve done both the tram and walking up…I’m in Lisbon every four years it seems, and it’s getting more and more touristy every time…definitely understand why! 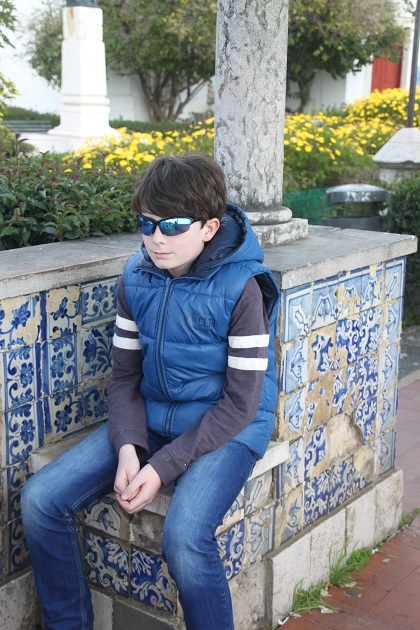 Glad you had such a great time in Lisbon. 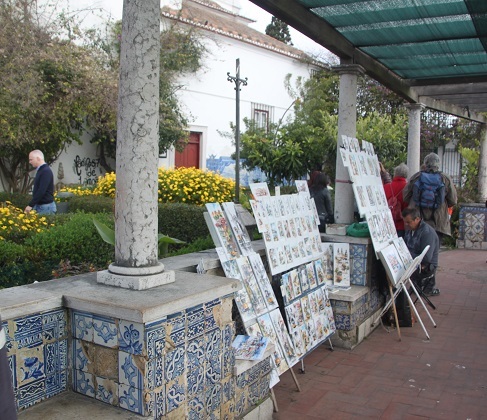 Yes you can definitely understand why the tourists flock here – we loved it so much! So pleased you made it to the castle. I agree with you that the views are picture perfect and worth the climb! Have a good weekend! 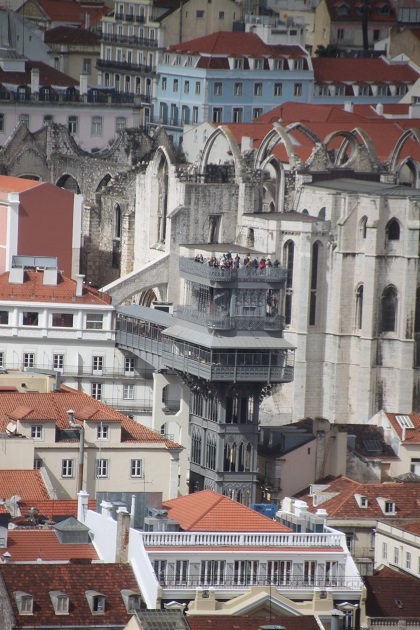 That was one of my Lisbon highlights – looking down at those views from the castle! Hope your weekend is going well too Marion – a bit of a temperature change to last weekend! Gosh we decided not to go as we had the pram! What a good call that was! I’m glad I found out more from you Joy! We just admired from the distance! That was definitely a wise choice – a pram and those hills would not go together well at all!! Hard enough just walking up them!! With all of these recommendations I am going to need more time than originally planned in Lisbon. Thanks Joy! There’s a few more to come (sorry Andrew!!). It is a great city though, we packed as much as we could into our time there and still left some things for another trip (hopefully!). We are planning 5 days there, I hope it is going to be enough! We had 5 days – very busy ones with stacks of walking and packed full but it worked well for us. It really was – a special day out. What a beautiful view over the city! 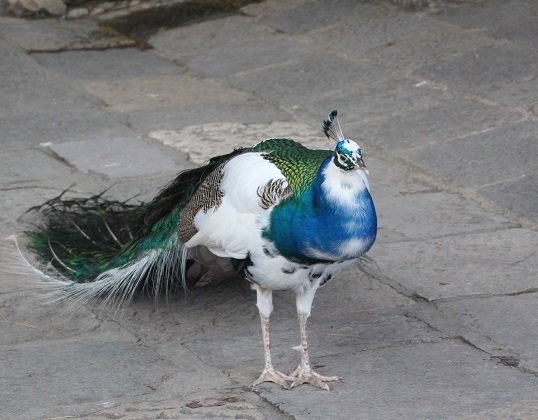 and the peacock you captured is mesmerizing! Love the colours! Those views were just incredible, it’s a gorgeous city especially looking down from up top. I could see how easy it would be spending time here…incredible views! So true Pam, the kind of place you could just sit and look for ages and ages. Thank you Tanja!! That’s what I’m doing too now that I’m home!! The views from this castle were spectacular weren’t they!? We also have some peacock photos! 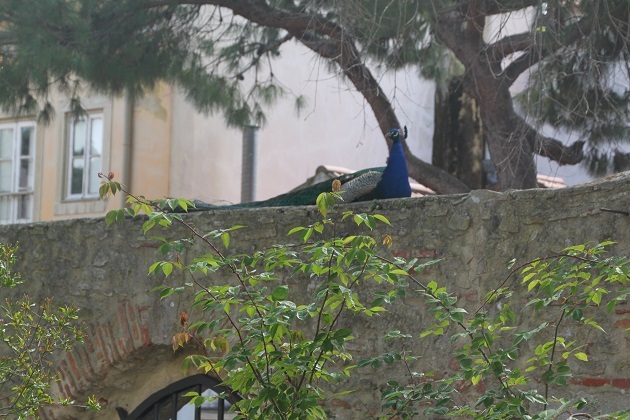 He he – we couldn’t resist the peacocks, many pictures of them were taken!! I just loved the views – unforgettable. I recognize many of these shots taken from high above the city. I bet you have many of the same pictures!! It is a very special view for sure. 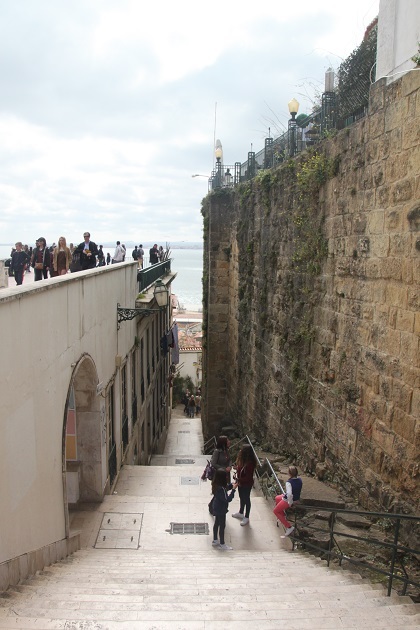 It really is such a gorgeous spot Rosemary and was definitely one of my Lisbon highlights – the views are some of the best ever. Our mini heatwave has gone, we’ve had a grey week but the sun has made a brief appearance this afternoon!! Hope your weekend is going well. 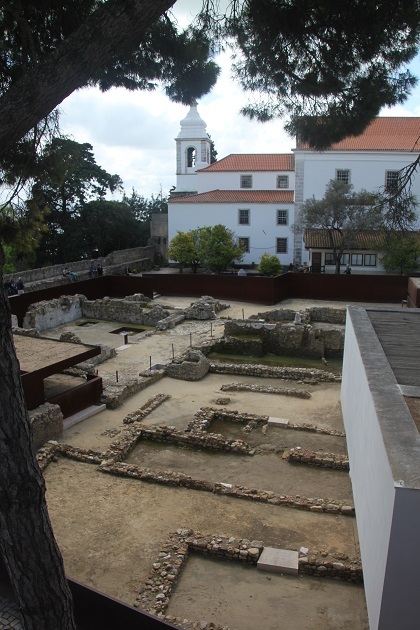 Every time I see your posts on Portugal, I get more and more excited about the prospect of traveling there soon. It looks so pretty! 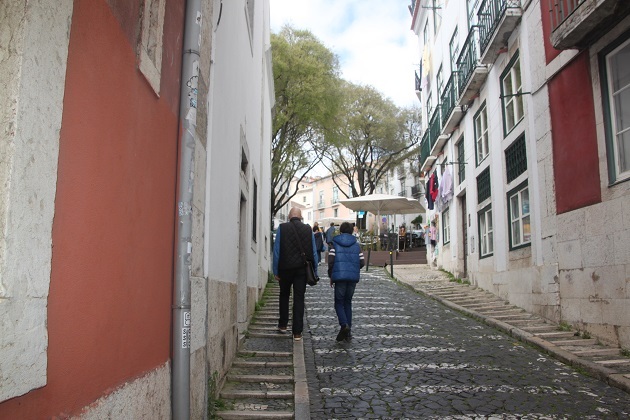 It is gorgeous, we just loved Lisbon and its beautiful streets and views. I’m sure you will have a great time in Portugal too. We were a little obsessed with him – he was a looker that’s for sure! 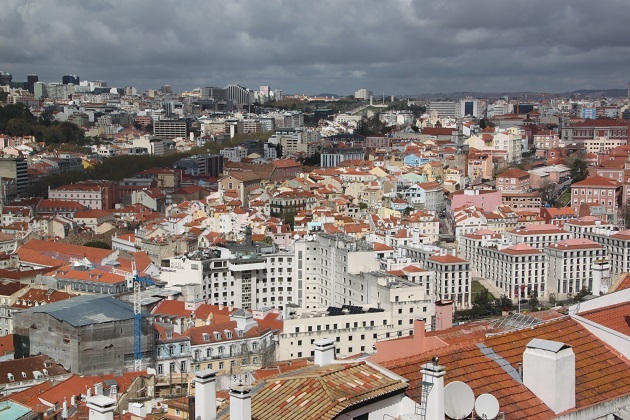 I’m dying to visiting Lisbon! Those are some amazing views over Lisbon and that peacock is stunning!!! It is such a wonderful city, we loved every second we were there and I would definitely recommend a trip.